When it was announced that 2012 was the National Year of Reading, I was a little bit excited to say the least. To me, the art of reading is inseparable from the art of writing and is something that I pursue with great passion. So to celebrate this National Year of Reading, I plan to share the books that are currently taking pride of place on my bedside table throughout the year. 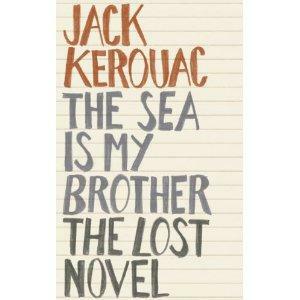 Jack Kerouac’s lost novel (the first he ever wrote in fact), The Sea Is My Brother which in his typical autobiographical style, follows the fortunes of Wesley Martin (aka Kerouac), a Merchant Seaman who loves the sea with a strange and lonely love. In Wesley Martin, Kerouac begins to lay down the template for his archetypal free spirited hobo, a template that would produce such incredible characters as Sal Paradise and Dean Moriarty (of On the Road fame). There are also flashes of Kerouac’s spectacular spontaneous prose, but from what I have read so far, it is a far more traditional novel, than the majority of Kerouac’s better known works. 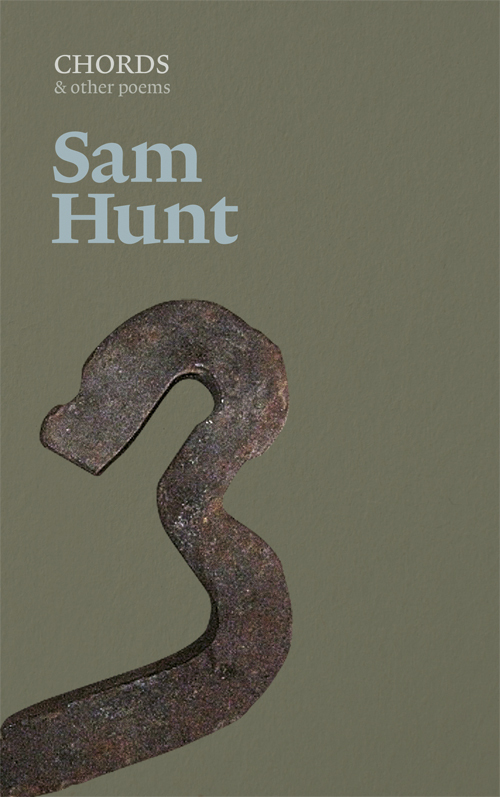 And legendary New Zealand poet, Sam Hunt’s latest collection, Chords & other Poems, his first completely new collection of work in many years. The epic opening poem, Chords is bristling with Hunt’s trademark music, and the losses he has accumulated throughout his life. He is one of poetry’s true characters so if you have never come into contact with his work, I totally recommend checking it out. Here is a link to a great interview that was recently published showing Sam at his boisterous best. As part of the National Year of Reading, I am planning to publish a series called ‘Pin Ups‘ on Another Lost Shark. Each month, I will feature a poet, publishing one interview question and one poem each week to showcase their work. The first post will be up on the site this Friday, so keep your eyes peeled! What have you done this Easter? Here’s a few pics to show the fruits of our days work! So what did you do this Easter? Tagged as American Poets, Another Lost Shark, Asian Poets, Australian Poets, beat literature, bob Dylan, Canadian Poets, European Poets, Gargoyle Poets Series, Graham Nunn, Jobs for easter, Julie Beveridge, Library, New Zealand Poets, Penguin Modern Poets, Personal Library, Poetry Anthologies, Poetry Journals, Reading Room, Russian Poets, UK Poets, What have you done this Easter? The lovely Lisette Ogg at The Empty Page has currently asked a bunch of people to post a pic of the place where they write as part of a QWC Blog Tour. 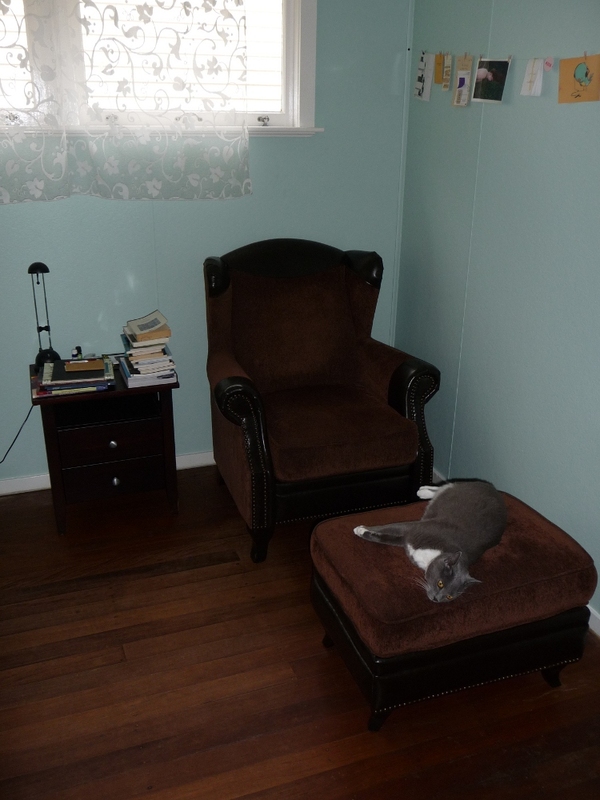 So here’s a glimpse of my current favourite writing space… I mean, you can’t go past a big old button back chair with footrest big enough for Peter Rabbit (that’s our lovely grey cat) to sleep soundly on. I say current, because I have a number of spaces that I flip-flop between… my other favourite is on the floor beside my bed. These two spaces are favourites of mine because there are always piles of books nearby. 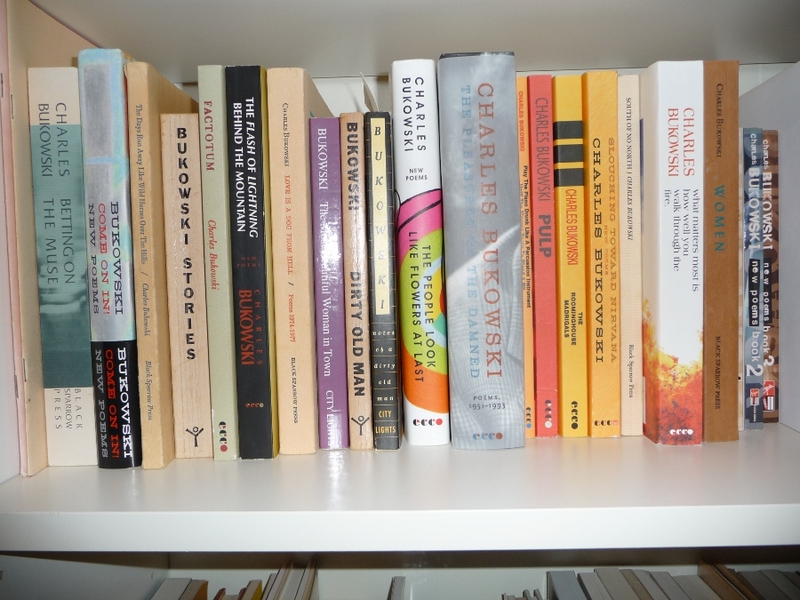 In that teetering pile you see in the photo you will find Robert Adamson’s – The Goldfinches of Baghdad, Chris Abani’s – Hands Washing Water, Lidija Cvetkovic’s – War is not the Season for Figs, Toh Hsien Min’s – The Enclosure of Love, Yasunari Kawabata’s – Snow Country, and the latest issue of Blue Dog and paper wasp, to name a few. For me, a writing space must be inhabited by books, have access to music and at the same time have the capacity to be a place of silence, have enough space to accomodate a cat and its purrs and have good access to light and air… this one ticks all the boxes. In this great big world of poetry and literature, reading is one of the most reliable sources of inspiration. It was Eliot that said, “Poets learn to write by being other writers for a while, and then moving onto another one.” With this bubbling away in my brain, I came up with the idea for Reading Room – a place for writers/editors/musicians to talk about what they are reading, it’s impact and the places where they read. 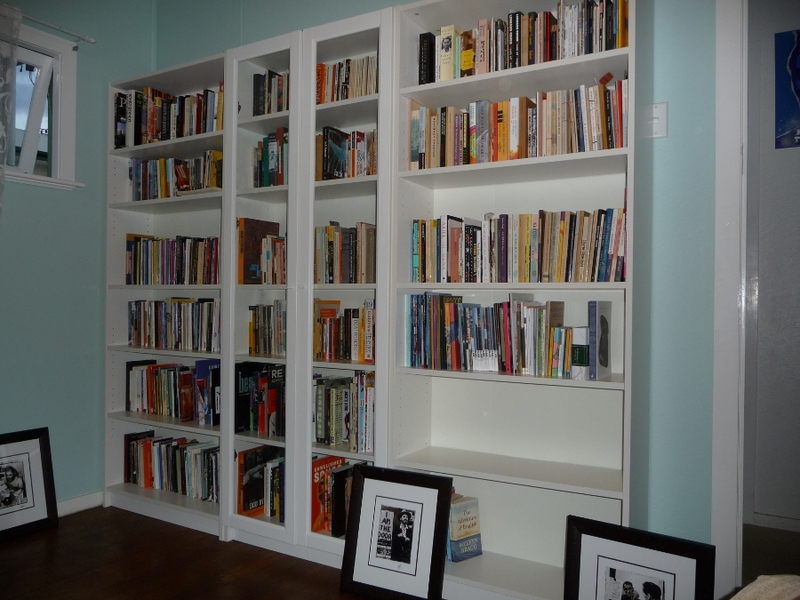 First up I spoke to Philip Neilsen, who is one of the feature poets at the upcoming Poetry on the deck event at Riverbend Books on Tuesday April 28 (see full details below) to take a look inside his Reading Room. 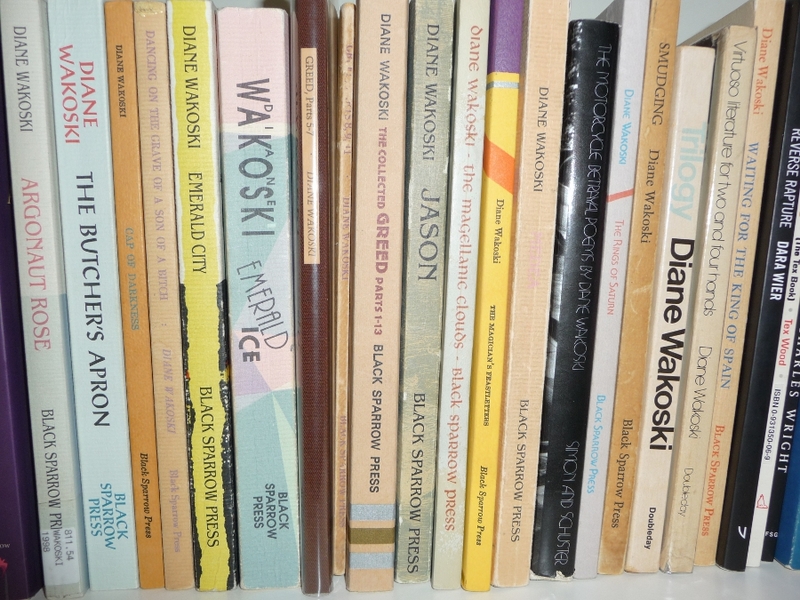 At the moment I’m reading a mixture of poetry, fiction and non-fiction: poetry by David Morley, Peter Porter and Bronwyn Lea, novels by Toni Morrison and Ian McEwan. I’m also reading a book on evolutionary literary theory and ecocriticism – a major interest for me. Those ideas are bound to find their way into the poetry I write in next couple of months. The great attraction of scientific studies of how we think and create through brain function etc, is that it is not just theory – it is verifiable. I think poets have to be interested in everything going on around them in the world – and express those ideas and insights in an engaging way that has an impact on readers. But though having said that about engaging with the wider world – at the moment I am also experimenting with writing some poems that are more personal, autobiographical and spare than before – more minimalist even. It is inspiring that Peter Porter (ex-Queenslander living in London and one of the great Australian writers) has at the age of 80 just published a new and brilliant collection of poems where he is as witty, profound and appealing as ever. So there is hope for the rest of us! 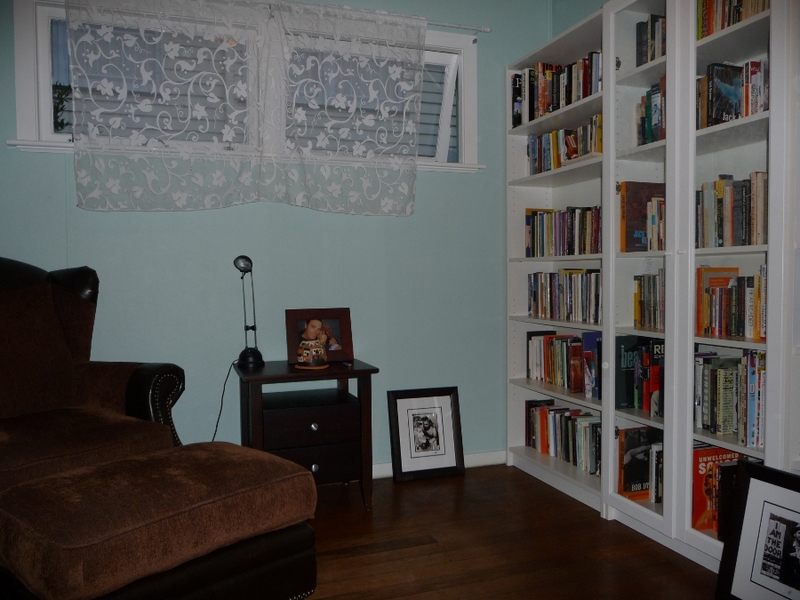 I read and write in my study with curtains drawn and in almost complete silence – I need that to concentrate totally. But I also have to know there are lots of trees just outside. Queensland Poetry Festival, QLD Writers Centre & Riverbend Books are proud to present the second Poetry on the Deck event for 2009. Join Philip Neilsen (Without an Alibi) on the Riverbend deck alongside Longreach poet, Helen Avery (Seduced by Sky), Rosanna Licari and emerging poet, Sophia Nugent-Siegal (Oracle).